Hydraulic-Pro Street. 383 needs 3500-3700 stall. 440 needs 3000-3300 stall. 850 CFM carb 10:1 up. Headers & good int. 3.90-4.30 gear. 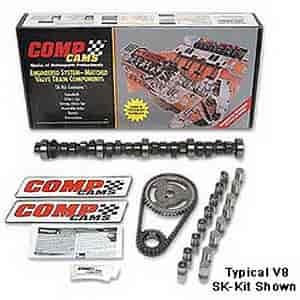 Does COMP Cams SK21-243-4 fit your vehicle?